This item has been discontinued and replaced by the Crazyflie Nano Quadcopter Drone Kit 2.0. 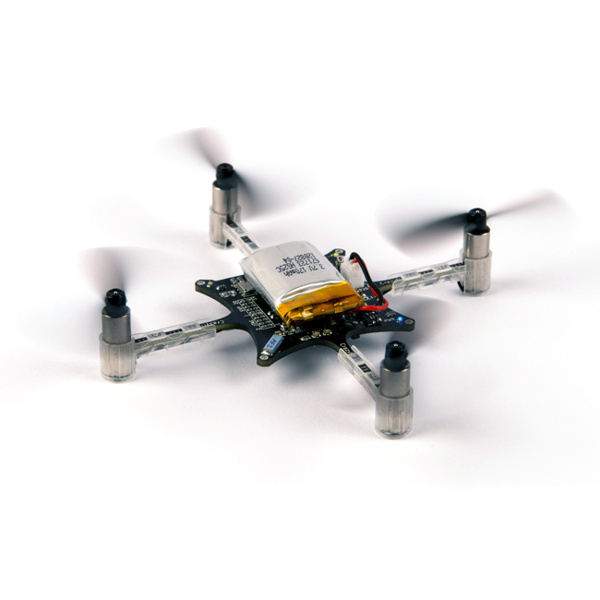 This Crazyflie Nano Quadcopter Drone Kit features 10 DOF and comes complete with a Crazyradio. The Crazyflie Nano is a quadcopter that uses four independently controllable propellers to maneuver in 3D space. It provides 10 DOF Degrees of Freedom via it's built in gryroscope, accelerometer, magnetometer and altimeter. A powerful 32 bit processor provides plenty of brain power to set your Crazyflie free. This little drone is small enough to fit in the palm of your hand and weighs less than an ounce. It is USB chargeable with a tiny light weight 170mA LiPo battery that delivers up to 7 minutes of flight time. This quadcopter is perfect for indoor flight. This kit includes a Crazyradio USB dongle for operating the Crazyflie Nano at distances of up to 250 feet (depending on the environment). The onboard 1 milliwatt radio barely uses any energy at all. The radio bootloader enables wirelessly updating the firmware. The drone's circuitry is based around a 32 bit STM32F103CB microcontroller operating at 72 Mhz with 128KB of FLASH and 20KB of RAM. 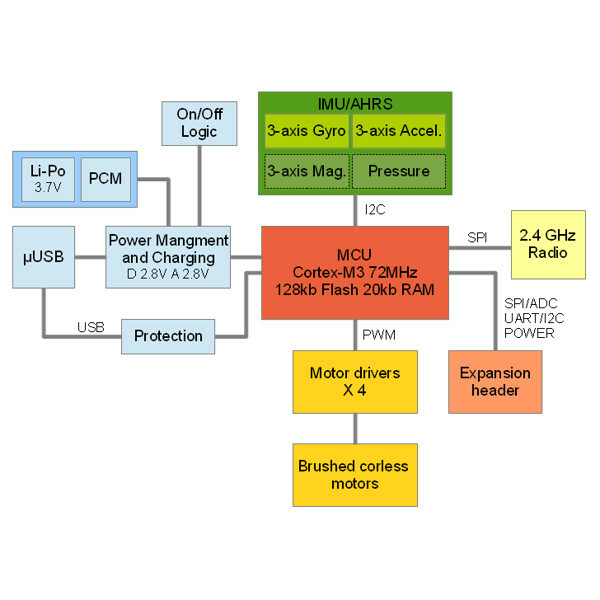 Sensors include a MEMs gyro, MPU-6050 accelerometer, HMC5883L magnetometer and an MS5611-01BA03 altimeter. 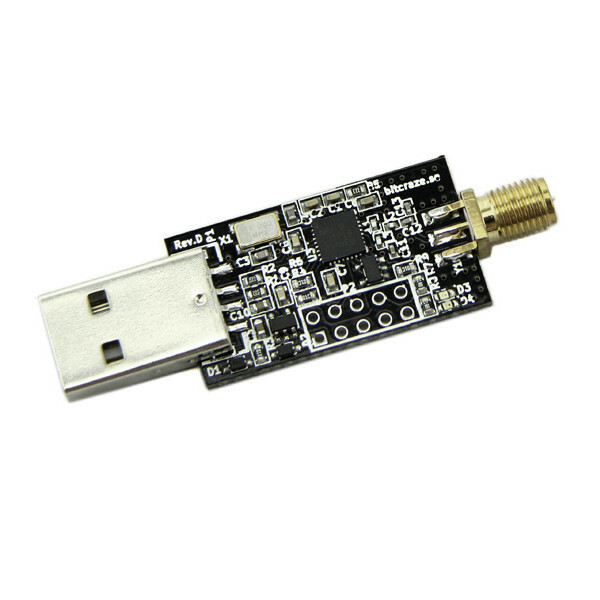 An nRF24L01+ chip provides digital radio communications at 2.4 GHz with 125 channels. The controller board also provides an expansion header with power, I2C/UART, SPI/ADC and JTAG. The Crazyflie Nano Quadcopter is an electronic kit that requires basic soldering and assembly skills. Fortunately, all of the teeny tiny parts are already soldered onto the controller board. The only connections that require soldering are the leads of the four motors and an optional expansion header. The battery leads snaps into place via a polarized connector. The controller board comes pre-programmed for remote operation via a host PC and a compatible gaming controller. The host PC software is compatible with Linux and Windows. An Android client is also available. Advanced users can write their own code by utilizing online developer guides. Firmware can be updated over the air or via a JTAG connector. The entire project is open source. 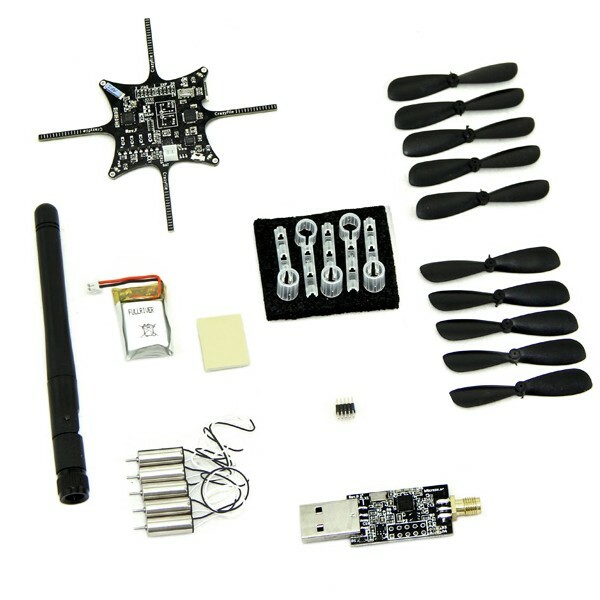 This kit includes a 10 DOF Crazyflie control board, a Crazyradio USB dongle with 2 dBi duck antenna, 5 coreless DC motors with mounts, 5 clockwise and 5 counter clockwise propellers, a Lithium Ion Polymer LiPo battery and an optional 10 pin expansion header. You will need to assemble the kit using basic soldering skills. A micro USB cable is required for charging the battery. A PC and compatible joystick or game controller is required for using the default firmware and software application package. 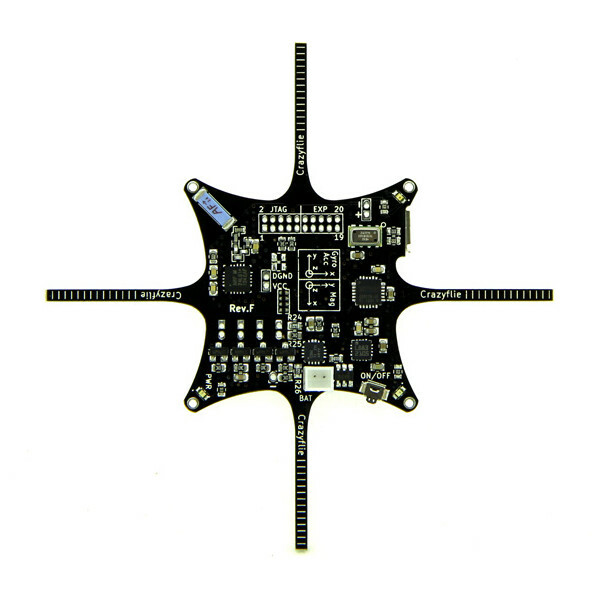 The Crazyflie Nano is a great way to gain hands on experience building and operating a quadcopter drone.